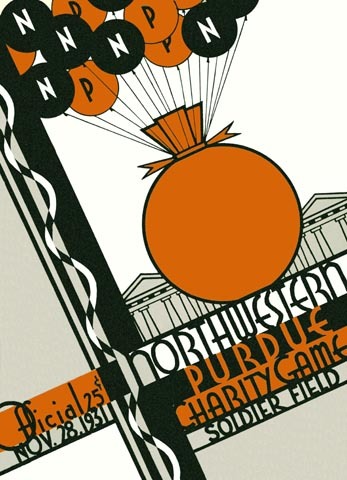 With a third of the country unemployed, Northwestern and Purdue moved their annual game to Soldier Field in Chicago, and staged it as a charity game to benefit unemployment relief. We would have to assume that the soup kitchens were more grateful than the Wildcats, as the Boilermakers applied the calcimine brush and ruined their previously unbeaten season. The win also propelled Purdue to a 9-1 record of its own, in a season marred only by a lone loss to Wisconsin.